Dignity is fundamental to us all. It is reflected in what we do every day and includes respect, attitudes and behaviour. It applies to the worth we see in ourselves and how we see and treat others. As health professionals, we have our own dignity as health professionals and also need to ensure we preserve the dignity of others. In this book, the reader is provided with ample opportunity to consider dignity in relation to how they care for others, especially at times of vulnerability. Over recent years, dignity - something that should be seen as a basic practice central to everything we do, has increased in prominence in health care alongside compassion and end of life care. This text advocates high quality, compassionate and safe care that preserves the dignity of both the receiver and the provider. Dignity champions who advocate this process can be found in healthcare environments. Divided into two parts, this text first introduces concepts and theories then part two provides the reader with stories about dignity in different settings and environments. It gives the reader good knowledge base for application in challenging situations. The real-life stories are emotional and moving and will make all nurses consider their practices. Critical thinking at the end of each section enables the reader to reflect and learn. Accompanied by clear learning objectives this book is an easy read that can be dipped into. It is nicely set out, is user-friendly and fully referenced. Key attributes to preserving dignity are explored in a thought-provoking way. 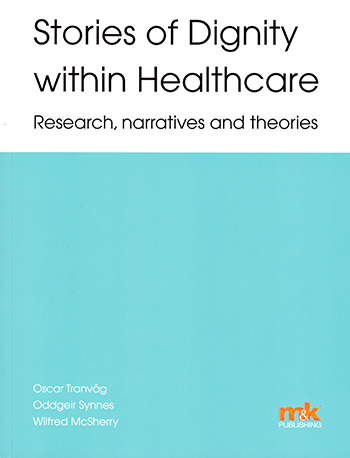 This is a book for all healthcare practitioners. It higlhights the humanistic side of care and caring and would be an asset to any ward or care environment.